Awesome helicopter ride and view of the glacier. Awesome helicopter ride and view of the glacier. Landed on top of the glacier, trekked around on it noting crevices and drank the fresh glacier water. Fun! Wonderfull excursion and for us, the 2 hours 15 minutes was just right. Wonderfull excursion and for us, the 2 hours 15 minutes was just right. About 15 minute helicopter ride each way, 20-25 minutes on the Glacier, great guide on the glacier. Three of our group did the afternoon helicopter trip to the Glacier. Three of our group did the afternoon helicopter trip to the Glacier. It was a great experience for all of us who did that. Helicopter ride was beautiful. Hiking on Glacier was poor, saw no real changes in terrain, no real safety talk about how to walk, and function in crampons. This would be better excursion as just helicopter ride. That would be a five. We did the Juneau Icefield Helicopter Tour and it was amazing! FANTASTIC. Offered a full refund or down-graded flight when they had to close the dog sled camp for the remainder of the summer. We walked on the glacier for 30 minutes. Mike, our captain, was awesome. Highly recommend. Part of the sled dog experience. I was a little scared of the helicopter, but was surprised at how fun and exciting it was, not scary at all! LOVELY views and an excellent pilot! Wonderful trip but not worth the $600+ it cost for one ticket. Wonderful trip but not worth the $600+ it cost for one ticket. Was worth the bucket list but not a repeat in the future. We did the "pilot&apos;s choice" tour, which is highly recommended and worth the extra cost. Helicopter tour onto the Mendenhall Glacier. Helicopter tour onto the Mendenhall Glacier. Just WOW!!! Fascinating, beautiful views, unbelievable in every way. 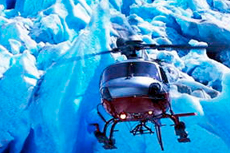 We had a great excursion with Coastal Helicopters to do a glacier walk. Got me on the helicopter with a special wheelchair lift. Got me on the helicopter with a special wheelchair lift. Wonderful couple of hours. Seeing the glacier close up is fabulous. Helicopter landed on it and we had champagne. Picked us up at the ship and took us back..
Once in a lifetime experience; spectacular views of Juneau Icefield, exciting 20-25 minute walking tour on Herbert Glacier; unforgettable. Very expensive, but worth EVERY cent. REALLY expensive 30 minute ride (and wandering around an ice field for 15 minutes) - $300? The Helicopter Flight and Walkabout excursion was not enough flight time over the glaciers and minimal commentary. We should have held out for “The Pilots Choice” Helicopter Tour. We booked a helicopter & dog sledding tour independently. Found it cheaper to book direct than through cruise ship for same tour. We did the Helicopter ride to Mendenhall Glacier and walk. 15 min. helicopter flight to Taku glacier. Landed on it and then walked around for about 15 minutes. Got very cold but it was very cool! Well worth the $$!